When you travel, it is inevitable that at some point you will neglect your health. At home, we can easily call our GP or favourite dentist and set up an appointment. But when you are on the road, the fact that you are in an unfamiliar place, no friends to ask for recommendation, and no idea how to speak the language, getting a hold of a GP or dentist is another challenge to face. To lessen your worries, there are a few things we can do to make sure we still look after our health in our own different ways like investing on the best travel electric toothbrush. Now, how easy is it to transport an electric toothbrush, can you even bring it on a carry-on bag? How about the brush heads? Are they easy to find? If I break mine, would it be the end of my electric toothbrush? What if I disturb my roommates in the dorm for having such loud travel toothbrush? Also, what is the best electric toothbrush that is portable enough for my travels? - All these are questions you may be thinking. Hang on, that's a lot of worries and questions, but don't worry, we will answer them accordingly while we will also tell you what's the most suitable electric toothbrush for you. You may use the table of contents to navigate faster. VERDICT: What is the best electric toothbrush for travelling? Personally, I say yes. Electric toothbrushes are so much better, they are efficient, cost effective in a long run, and simply amazing. Even without a visit for a while with your dentist, you know that you somehow preventing small dental problems while travelling. Because when you are on the road, believe me, you will be eating loads of different dishes, drinking sweet and acidic liquid, while the chance in cleaning your teeth afterwards will have to wait because you are having so much fun to say "I'm going home, I need to brush my teeth." to your newfound friends. Before you decide to buy one, tick off these things first to make that you get the one that matches your need during every trip. Every traveller is different and every person needs to practice different dental hygiene. It is important that you pay attention before purchasing an electric toothbrush. The last thing you want to happen is to bring a toothbrush that will take too much weight in your backpack or suitcase. You want something that is portable enough but can still do an amazing job. If you go on a weekend trip often, you probably can deal with an electric toothbrush that weighs a little extra. Get one that is also not going to take too much space in your luggage. A great size would be something you that you can easily pack and out without taking out all your things off your luggage. One of the last things we do, before leaving your house or leaving a hotel, is to brush our teeth, if you already packed, you need a toothbrush that is portable enough to easily slip through your backpack or suitcase. If this is going to be a long trip with an intention of no check-in luggage, you need to carefully consider its dimension or size. Some people are prone to have a cavities build up pretty fast, which means that you should consider in getting one that is powerful enough to handle this situation. While other people have sensitive gums, having an electric toothbrush that is too strong can damage their gums and cause bleeding. Find out how powerful an electric toothbrush is, the best is to buy one a month or two before your trip to see how it works for you. Does a toothbrush that can help you keep your white teeth or can control plaque is high on your list? If yes, make sure to consider the ones with these features. Do you want one that can be connected through Bluetooth? Write this on your list too. My Oral-B Vitality Cross-action didn't come with a travel case, which in the beginning was fine. However, I started moving pretty often and I begin to worry that my electric toothbrush might disfigure or crushed. I've decided to buy a separate travel case for it. If this is something you'll be concern about, you can either get a toothbrush that comes with a travel case that is compatible or you can buy one separately. Below is my comparison table so you can find an answer faster. Below, you will find how we compare each electric toothbrush. Let's take a closer look on our electric toothbrushes below to have a better understanding which suits you best. I will discuss it's best feature, it's possible cons, why you should choose this specific toothbrush. 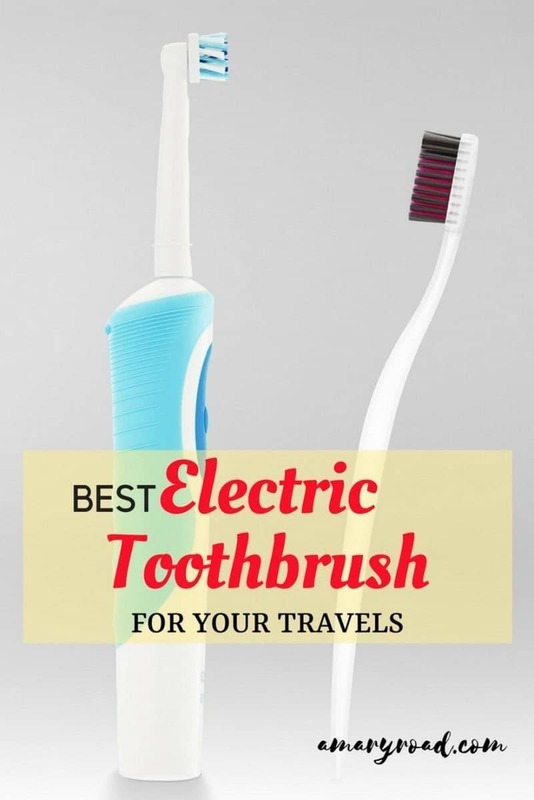 Why is this one of the best travel electric toothbrushes? VIOLife's Slim Sonic Toothbrush is well rated on Amazon, it is mostly loved because it is easy to pack and very lightweight (only 56 g or less than 2 oz). With 22,000 brush strokes per minute, Slim Sonic Toothbrush by Violife is doing it's job. It also comes with different designs which are very stylish. Oral-B's Pro Vitality Cross Action do a better job than a manual toothbrush, it removes more plaque, programmed with 2D cleaning action. It is also rechargeable and has a 2-minute timer. You can let it sit on it's charging stand without overcharging its battery or charge it once a week, which is very helpful for when you are travelling. I personally use this one which I find suitable for my travels, it is lightweight as well. 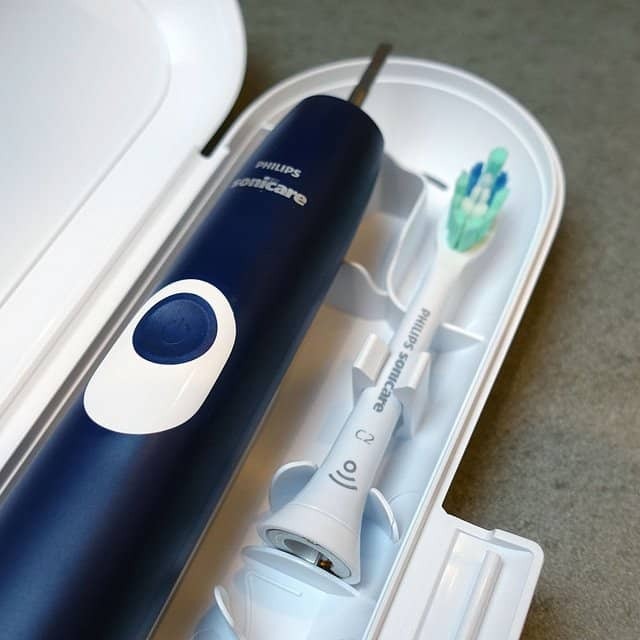 If you have a serious plaque problem that needs a serious everyday maintenance especially during your travels, Philips' Sonicare 2 Series Plaque Control is definitely the one for you. With 31,000 brush strokes per minute, it can surely removes plaque and can clean your teeth up to the gum line efficiently. Although it is on the pricey side, it can surely save you from any serious trouble in the future. You enjoy the feeling of "just been to the dentist"
Why is it one of the best travel electric toothbrushes? If you are looking for more features with your electric toothbrush, you might want to go for Oral-B Pro 5000 CrossAction. Apart from the daily cleaning, it offers gum care, whitening, great for sensitive teeth, and is programmed with 3D cleaning and Bluetooth SmartGuide as well. For all its features plus 3 different heads, the price is reasonable. 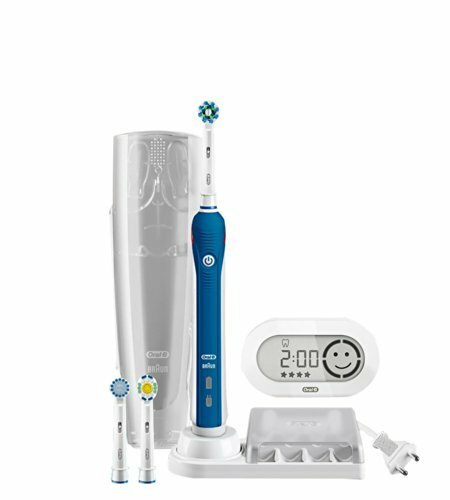 It is comes with travel case as well to keep your toothbrush and its head in perfect shape. 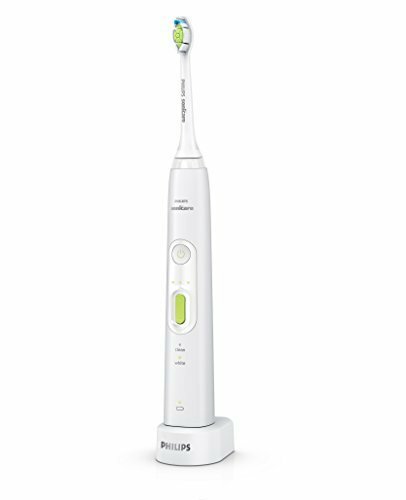 If you want to keep your teeth white or improve it while travelling, Philips Sonicare HealthyWhite+. 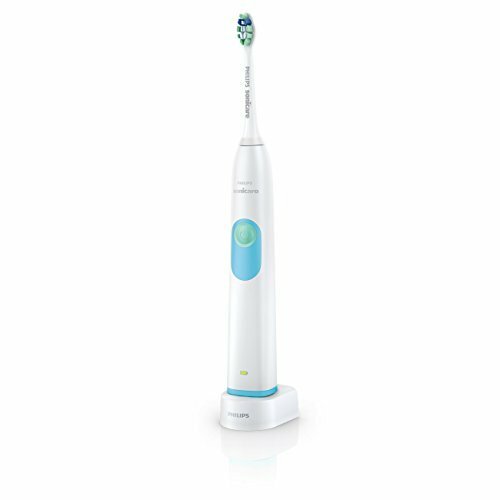 This electric toothbrush focuses on whitening your teeth, taking care of the daily cleaning, gum, and removes 7x more plaque. It also comes with 2 settings (basic and whitening), 3 intensities, and a travel case for protection while it's in your luggage. Make sure to always order or buy extra heads as it is proven that once you leave your home country, there is a challenge in finding them. Read the fine print/instructions carefully. In case of dysfunction, there is a chance to return it back unless you have caused the issue. Always consult your dentist for a more professional help before buying especially if you have specific dental issue or have sensitive teeth. This also avoids buying the wrong one and wasting your money. Buy a travel case if yours doesn't come with it. This keeps your toothbrush from turning on while in your backpack or luggage, This also make sure that your toothbrush is not being crushed. If you are worried about the noise it makes while you stay in hostels, make sure to use the shared bathroom instead of the attached one in your dorm room to avoid causing trouble. If your budget permits, I really recommend Sonicare HealthyWhite+ (HX89111). Although it's on the heavy side and pricey, it offers features that will surely look after your teeth. 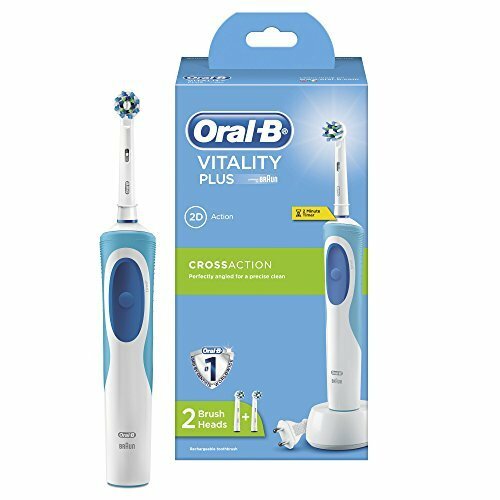 However, if the weight bothers you, Oral B Pro Vitality Plus (Cross Action) is great too which is also what I have since I only travel with a carry-on. It's super affordable and very portable, battery last for 30-minutes, it doesn't over charge, and it has a 2-minute timer. You can also buy a case for it separately. 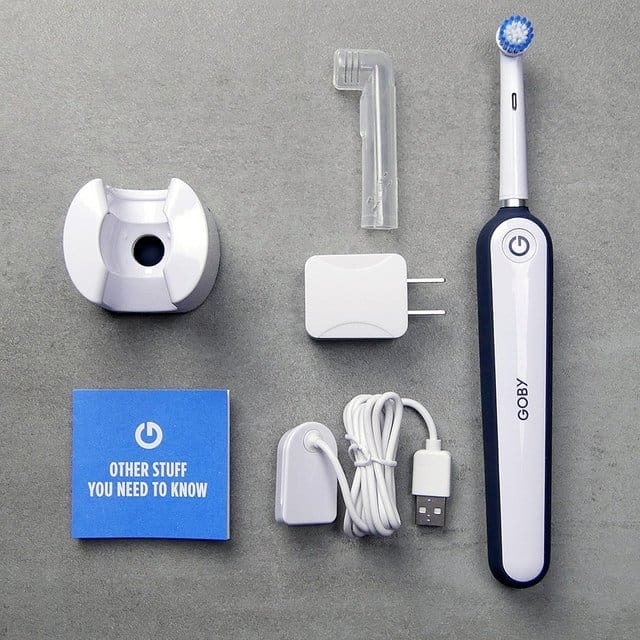 I hope you find this article about the best travel electric toothbrush useful. If you have any questions or have tried other electric toothbrush on your travels, we'd love to hear about your experience and verdict so we can help other travellers out there.